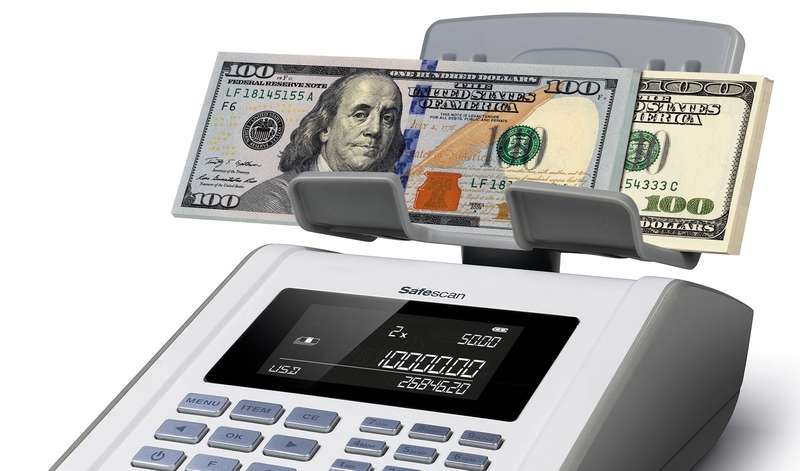 The Safescan 6185 is jam-packed with automated features that facilitate easy cash-counting at the end of a long, tiring business day. 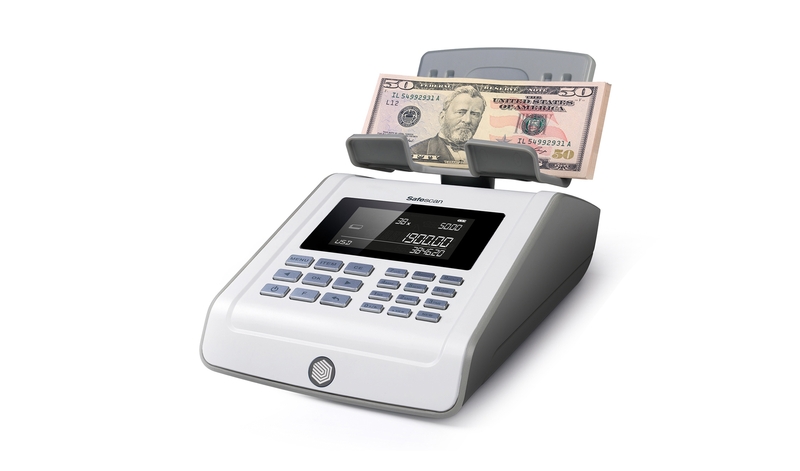 Count coins and bills whether they’re loose, bagged, rolled or bundled; add in credit card and check payments; tag each count run with a reference number and time stamp; automatically deduct the day’s starting cash from the total: the 6185 is designed to be the ultimate all-in-one, time-saving cash counter. 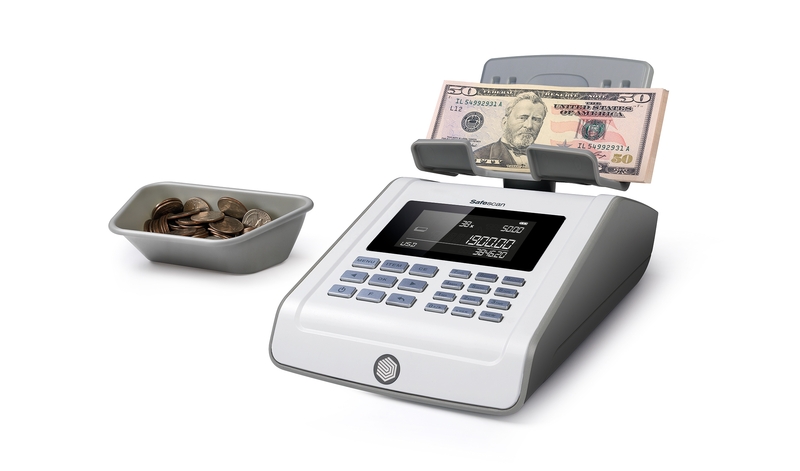 The 6185 uses sophisticated currency-weighing technology to quickly and reliably count coins, bills and non-cash items such as vouchers and tokens—faster and more accurately than the most experienced cashier. 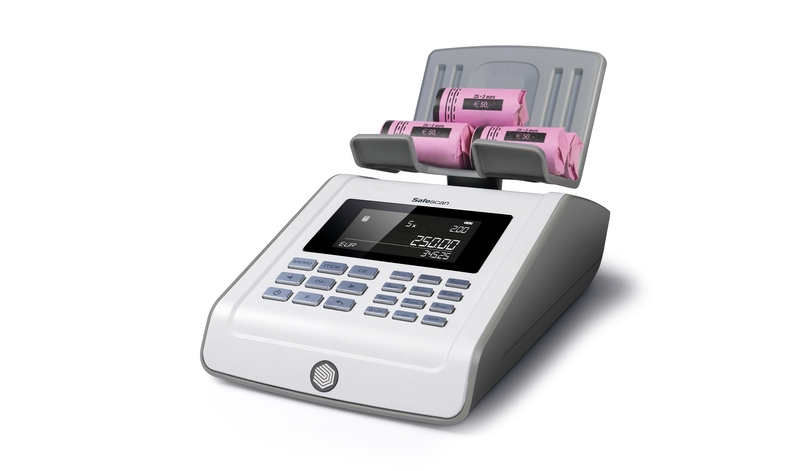 In addition to loose coins and bills, the 6185 will count coin rolls, coin bags and bundled bills with ease. 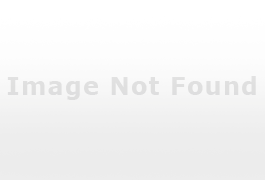 Need to include non-cash items such as vouchers, coupons, tokens or chips? No problem. You can quickly teach the 6185 to automatically recognize the weight and value of any item. The adaptive count algorithm of the Safescan 6185 allows the device to adapt itself to weight tolerances. These may occur due to the condition of the bills that are counted or when counting 2 versions of bills (old and new, which usually have a different weight) within the same denomination. Central banks regularly issue new or revised bills and coins. Safescan’s dedicated currency management team makes sure your 6185 keeps pace with these changes. We notify you whenever there’s an update; all you have to do is install it using the USB port on the back of the device. 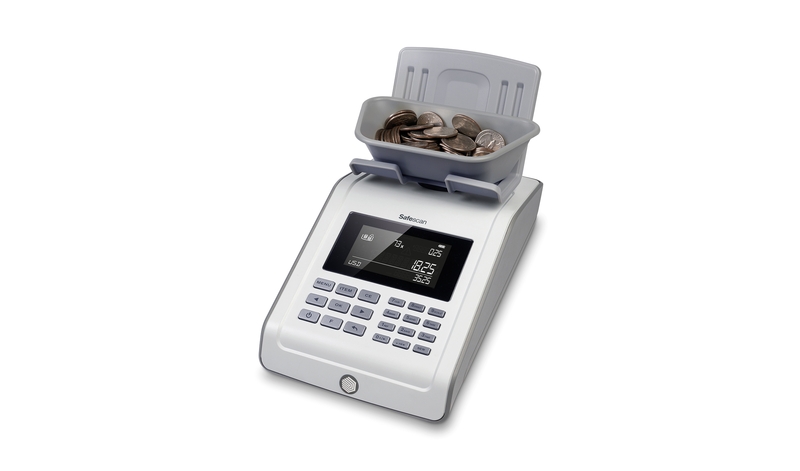 Shave even more time off your cash-counting task by pairing the 6185 with a SD-4617S cash drawer and the removable 4617CC coin cups. No need to fumble with getting coins out of your cash drawer, and no need to calibrate first: the 6185 is already programmed to recognize these cups.